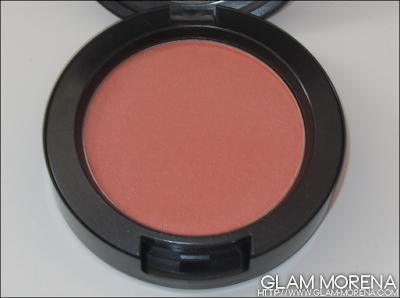 Glam Morena: Swatches: Tres Cheek Blushes. MAC Tres Cheek was a collection I was very excited about! The collection has six limited edition blushes and I picked up three of the shades. Overall I am happy with the shades I did pick up. I will say that the colors weren't as bright or bold as a I expected them to be. When I first swatched them I was kind of disappointed, but then I realized they looked better applied to my cheek. The blushes are all satin finishes. I also noticed these seem to have a slight sheen to them. 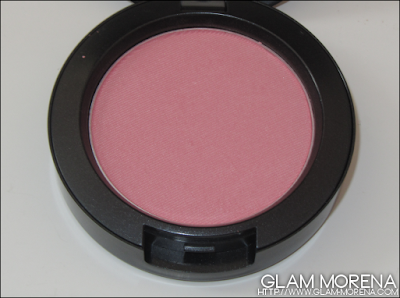 Description: Blush as vibrantly, softly, or hip as you dare in shades that reflect your mood, style and skin tone. Six new limited edition Blush Powders in red-orange, peach, pink and lavender that are seamlessly sheer, and stay as bright on the skin as they are in palette. If you had to get one shade I would suggest buying Modern Mandarin! 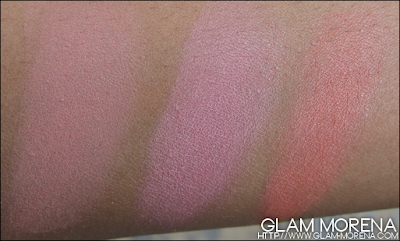 Swatches of Tres Cheek blushes in Immortal Flower, Lovecloud, and Modern Mandarin. Did you buy anything from MAC Tres Cheek? Favorites? Thoughts? All these look soo pretty! 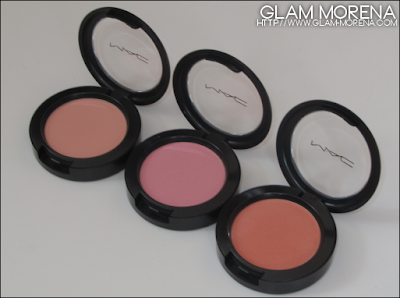 I don't need any more blush, but I want all three of these. I was tempted to get immortal flower and love cloud but I just got Modern Mandarin and I'm so glad I did! It's sooo much more wearable then I thought. i really like modern mandarin. gorgeous colour! Would love to see this on your cheeks! I recently bought immortal flower (because of you) and i haven't tried it yet but hopefully it shows up! I really like Modern Mandarin. I love hot pink and bright orange blushes lately. Any blushes you swatch are usually extremely up my alley ! !